So this was today! 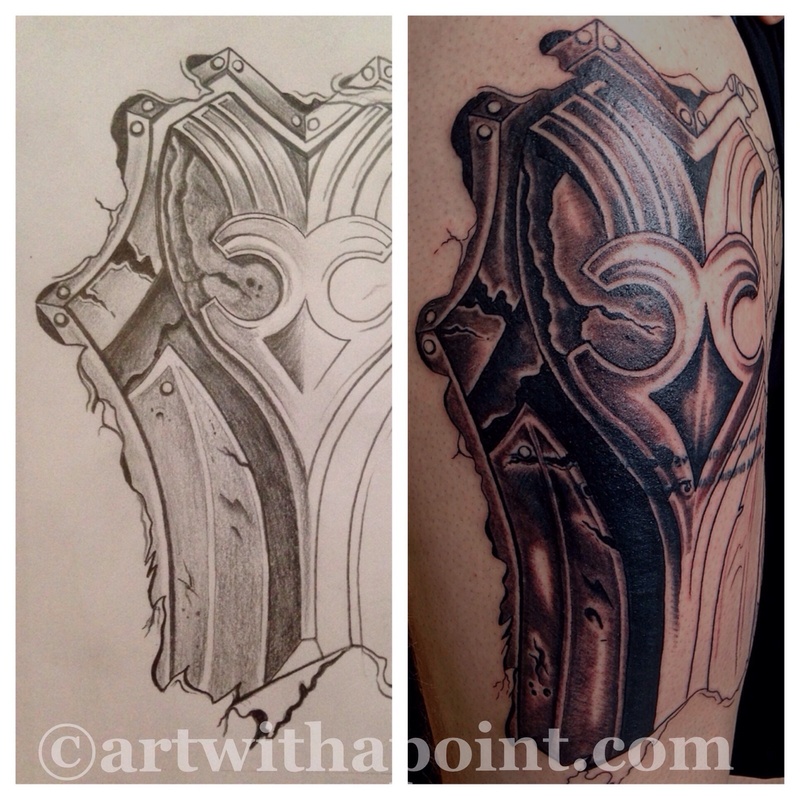 A great start on a full thigh panel of custom armor. Oh. And a coverup! Looking forward to finishing this in a couple of weeks! 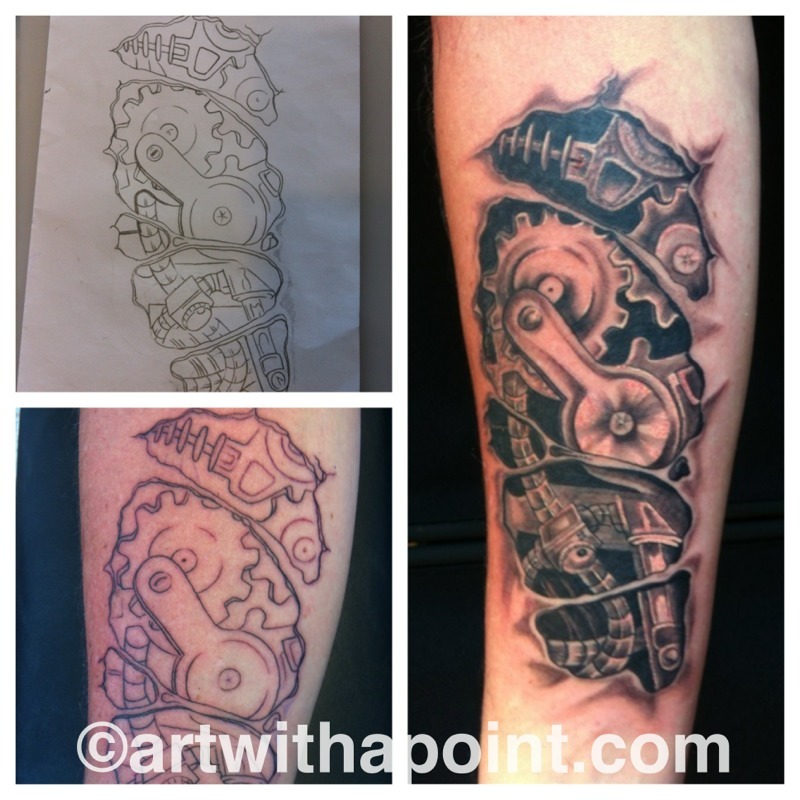 This bio mechanical piece started with a basic concept drawing. Once we laid down the outline, we went nuts with shading for dimension and then texture to provide the *popping* contrast and motion.